Rev. John M. Berry, Jr.
CENTRAL CITY — The Rev. John M. Berry Jr. of Central City died Tuesday, March 16, 2010, at his home. He was born July 10, 1919, in Central City, graduated from CCHS, the University of Evansville, attended Boston University’s School of Theology and graduated with a masters of divinity from Christian Theological Seminary in Indianapolis. As an ordained Methodist minister, he served various churches in Indiana, including Olive Chapel, Caborn, Heidelberg, Cloverdale, Madison, Fairlawn in Evansville and the First United Methodist Church of Petersburg, where he retired after 14 years of services. He was a World War II veteran. 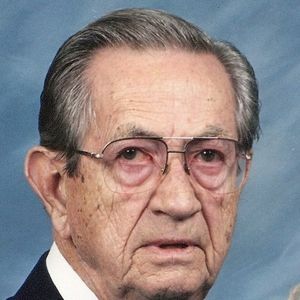 He was preceded in death by his father, John M. Berry Sr.; his mother, Florence Nalley Berry; his wife, Jane Vick Berry; his sons, Eddie, Don, Roger and Dr. John Berry; and his sister, Margaret Berry Moore. Survivors include his son, Jeffrey of Evansville; his brother, Damon (June) of Central City; his sister, Mary Berry of Central City; his sister, Anna of Greenville; 14 grandchildren; and many great- and great-great-grandchildren. 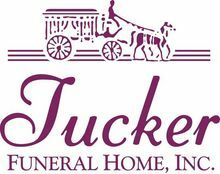 Services are at 11 a.m. Friday at Tucker Funeral Home in Central City, with visitation starting at 9:30 a.m. Dr. Kevin Brown will officiate. Additional services are at 1 p.m. Saturday at First United Methodist Church of Petersburg. Visitation will begin at 11 a.m. The Rev. Mike Monahan will officiate, with burial at Walnut Hills Cemetery following the service. The family requests that in lieu of flowers donations be made to American Cancer Society, Salvation Army, Pan Can or a favorite charity. Create An Online Memorial For Rev. John M. Berry, Jr.
My deepest sympathies on your loss. I hope you find comfort in knowing he is with his Lord now.